e2e are a team of outsourced business specialists covering Payroll, HR Administration and Bookkeeping. We also offer a range of Consultancy Services including our Support to Accountants. Whether your business just needs a hand, or if you have decided to outsource, we offer a range of services that can be tailored to suit your individual business requirements, leaving you free to do what you do best – running your business. We take a great deal of pride in what we do and treat each business as if it were our own. As your outsourced partner we consider it our job to help you run your business as efficiently as possible. 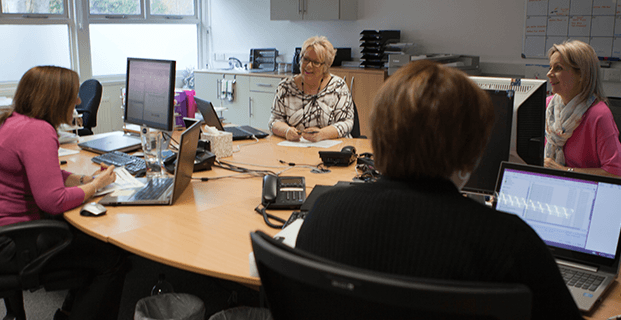 Our size means we always have a qualified expert on hand, but we’re still small enough to focus on your individual needs, giving your business a tailored service you can rely on. We work with businesses that range from 1 employee to 10,000 across a broad section of local, national and international industries.